Are wild violets supposed to bloom in Southern Minnesota the end of October? No, the wild violet and all other species of violet that I know of are supposed to bloom in spring. 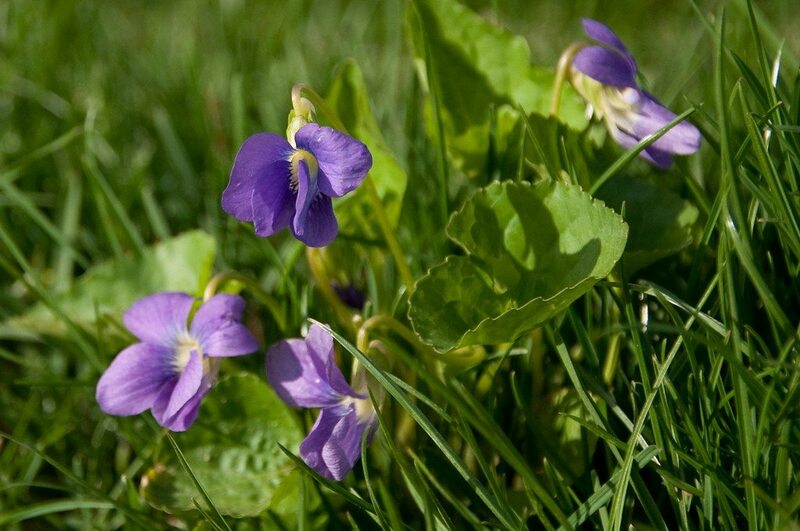 The only exception is that violets produce "cleistogamous" self-pollinating flowers in fall, but these never open and do not have petals, so they just look like closed flower buds. Perhaps unusual weather has confused these plants, or perhaps they are mutants.